The Friends Gazette is our black and white magazine. 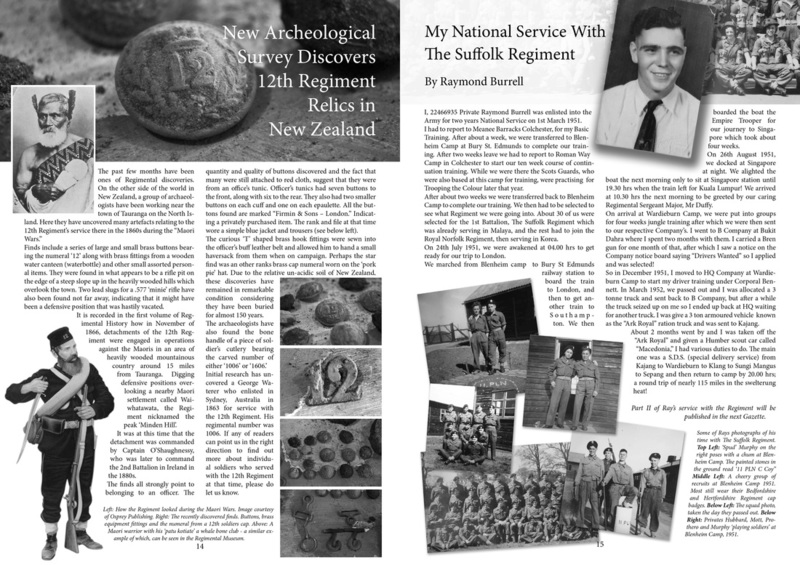 It is published in-between the Castle & Key and contains topical news on the Suffolk Regiment. Unlike the Castle & Key, it has no regular features except Letters to the Editor where we published your questions, comments and criticisms and let you have your say. 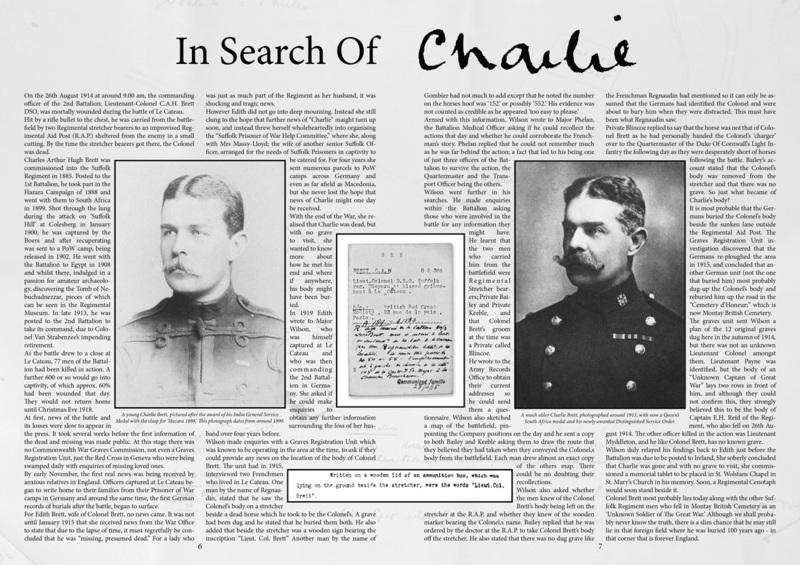 Above: The story of Lieutenant-Colonel C.A.H. Brett, DSO, killed at Le Cateau. 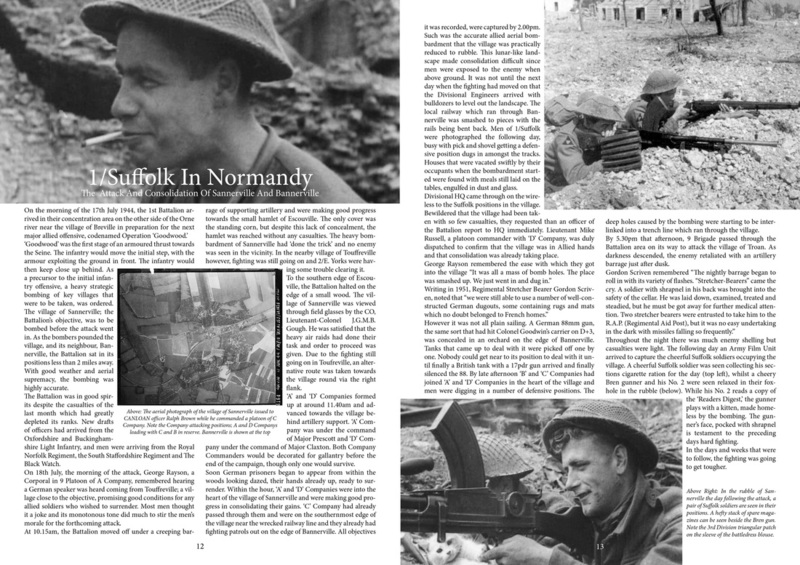 Above: Our ongoing serialisation of the 1st Battalion's part in the Normandy campaign. Above: Recent discoveries from the Maori wars and a reader-submitted story. Main Picture: Men of the 1st Battalion travel by train through South Africa, 1900.